The Industry Standard for most CMM applications. Its compact dimensions are ideal for probing into restricted features. Works well with probe extensions. 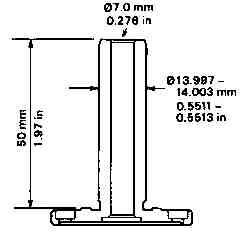 CMM Technology, Inc. has factory remanufactured TP2-5W Probes for $2,100.00. 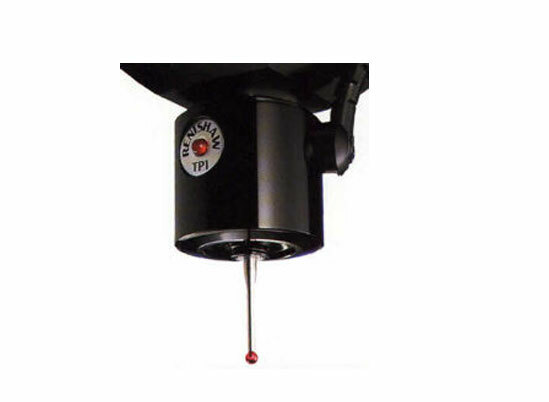 TP2 5-Way is the industry standard probe for most CMM applications. 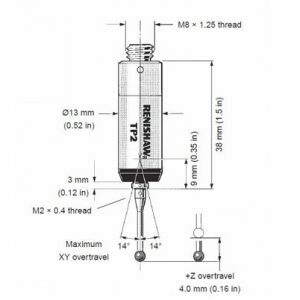 It’s compact dimensions are ideal for probing into restricted component features. differing in plug socket orientations are available: TP1S-cable connects vertically TP1SM-cable connects horizontally. One of the most common sources of error on standard design touch probes is when using long styli. That requires a manual adjustment of the probe’s triggering force to compensate for the leverage of the stylus. Often the trigger force is not adjusted at all, or is not reduced when a shorter stylus is remounted. The TP20 provides three quick-change stylus modules, preset with trigger forces required for 10mm, 25mm and 50mm long styli. TP20 is a new kinematic touch trigger probe that gives its users the ability to change stylus configurations, either manually or automatically without requalifying. A direct replacement for the industry standard TP2, the TP20 system is easily retrofitted to both manual and DCC co-ordinate measuring machines (CMMs) with existing TP2 or TP6 installations. The TP20 probe consists of two parts – a probe body and a detachable probe module that contains the kinematic touch sensor and carries the stylus assembly. The module is connected to the probe body by a highly repeatable magnetic coupling, which allows the exchange of modules without the need to requalify. 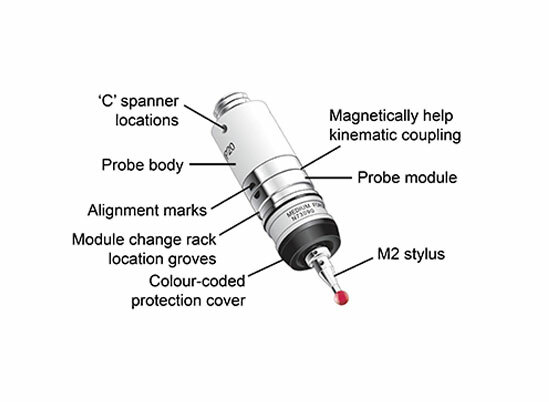 The probe body has a standard M8 screw connector, which enables simple fitment to all CMMs with a Renishaw M8 probe head, including PH6, MH8 and PH9. 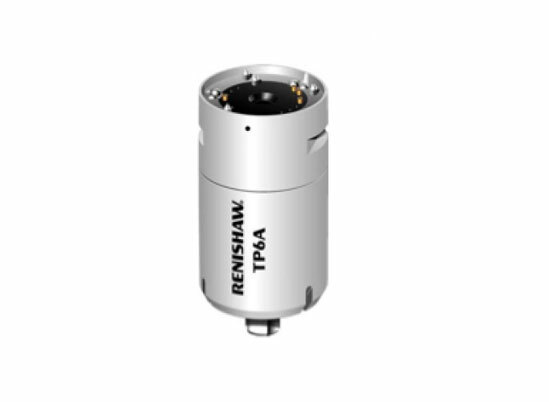 Fitment to ‘autojoint’ probe heads is also possible with a suitable Renishaw ‘PAA’ adaptor. The new optional MCR20 Module Change Rack, stores up to 6 probe modules, enabling automatic changing of different stylus configurations under measurement program control. Probe triggers are inhibited during module changing by a proximity switch system, which eliminates the need for an electrical connection to the MCR20. The TP20 system extends the availability of fast stylus changing to users of manual CMMs and, with software available from suppliers of CMMs, facilitates automatic changing in most current TP2 or TP6 applications on automated machines. TP6 combines the robust characteristics of the TP1 (S) with the flexibility of the TP2. It can be used on manual or DCC CMM’s along with Renishaw’s vast range of heads and extensions. 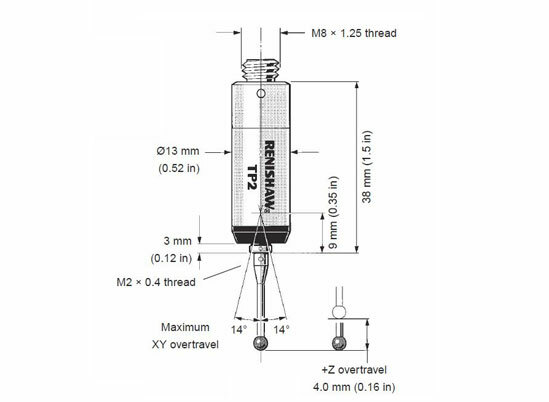 TP6A incorporates an autojoint for use with the Renishaw Autochange System, or for manual probe change. The TP6A allows for fast probe exchange without redatuming.